In the first of our series on Betfair, we take you through the basics of the exchange and how to use it. It’s amazing to think that in this day and age, many punters still don’t use or even have a Betfair account. 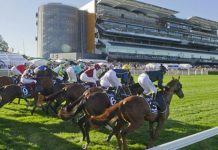 Betfair isn’t marketed widely in Australia, which may help to explain it. Certainly not compared to the never-ending, all-pervasive advertising campaigns of corporate bookmakers. For any serious punter however, Betfair is a no-brainer. It gives you the opportunity to access huge worldwide betting pools on most racing and popular sports markets. 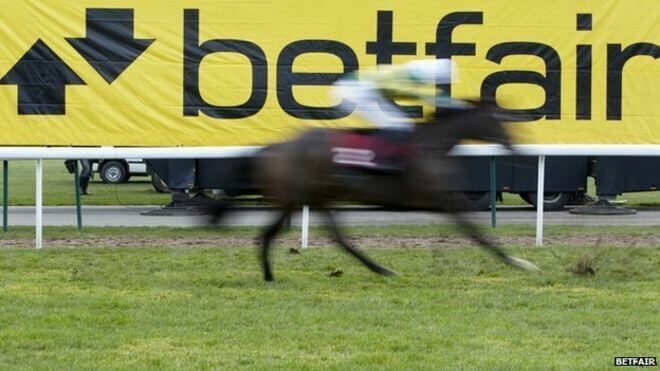 For those who haven’t got involved, over the next few weeks we’re going to run you through what Betfair is and how it works, starting with the basics. Of course you’ll need a Betfair account to get started, so if you haven’t got one, pick up this offer from them below. Be sure to read the Ts&Cs as this offer only applies to new accounts and some state restrictions may apply. Betfair is the world’s largest betting exchange. A betting exchange is not a traditional bookmaker, which takes bets from punters and pays out to winners. A betting exchange instead merely hosts bets between punters. 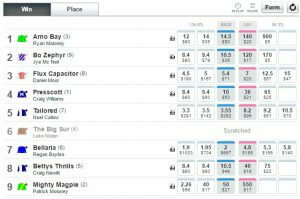 When placing a bet on Betfair, you have the option to either Back or Lay your selection. Backing is a bet in the more familiar sense: you’re betting on your selection to win, and you collect your winnings if it does. Laying is the opposite: you’re betting against the selection winning, and you collect if it doesn’t win. It’s really what a traditional bookmaker does: he wins your stake when your selection fails to salute. Think of it like any bet you might have placed with a mate about a game of footy or any other sport really. All Betfair does is host that same thing on a grand scale, connecting punters across the world who are opposing each other on a wager. Of course, for a bet to take place, there must be two punters on either side of the wager who agree on the odds and the stake. On Betfair this is called matching: a bet is locked in when it’s matched. The cells in blue represent the Back side of the market. Those in pink are the Lay side. The large numbers in each cell are the available odds for each horse. The odds system is straightforward: the displayed odds – for Back bets at least – are the same format as you see with any traditional bookmaker. 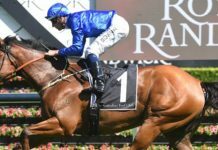 Odds of 5.5 on a horse? Back it and your stake (say $100) goes in, and you’ll collect $550 if it wins (before commission): a profit of $450 (more on commission later). Lay betting is the other side of the wager, the role traditionally played by a bookmaker. If you wish to Lay something, you put up the backer’s winnings (your liability), and you collect their stake if they don’t win. Using the same example: on the lay side, your liability is $450, which goes into the bet. If the horse wins, the backer wins the $450 and you lose it. If it doesn’t win, you get their stake: $100 before commission. You’ll notice that as well as the odds in each cell, there’s another, smaller number below. This is the current volume available in the market at those odds. The cell marked in blue is the best (ie highest) odds available to back that selection, along with the amount of money waiting to be matched at those odds. The two cells left of it are the next best available, and the volume available there. The lay side is, again, the opposite. The pink cell is the best (ie lowest) available odds to lay that selection, along with the amount available to be matched. 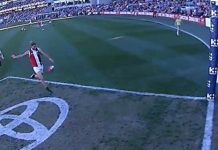 The first punter in a market enters his stake at his desired odds, and the first person to accept those odds on the other side matches the bet, and it’s finalised. The best odds placed (and the volume) are always the first at the front of queue, and will be the first matched. The market then works it’s way through the unmatched odds, continually matching wherever there’s available funds on both sides. Matched: your bet has been matched and finalised – you’re on! Unmatched: your bet has not been matched at your odds: it’ll sit in the queue until it is. If it isn’t matched when the market closes, the bet is simply void and your funds returned. Partially Matched: just a mix of the two above, which occurs when the volume available is such that a portion of your bet is matched, and a portion isn’t. On any unmatched funds, you can choose to adjust your odds in order to bring them closer to the current best odds and thus make them more likely to be matched. The volume in any market obviously depends on its popularity and how many people are betting on it. So the volume in high profile events like English Premier League soccer matches, or big races on the national or international stage, is huge. 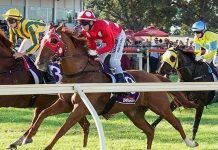 It’s far less so for a Tuesday maiden at Swan Hill. Betfair haven’t actually set up this worldwide market and gone around matching everybody’s bets just because they’re good blokes (though we’re sure they’re alright!). Betfair makes money off all bets, but they’re not a traditional bookmaker, so they don’t do it in the same way. They do this by charging a commission on all winnings. 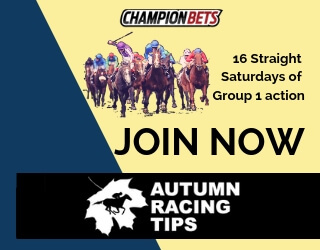 Your commission charge is a percentage of any profit you make on a bet: on most markets worldwide it’s 5%, however on others it’s higher due to license fees they have to pay sport or racing bodies. And yes, you guessed it, that includes Aussie racing! 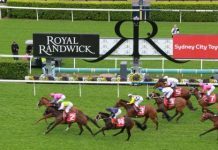 New South Wales, Queensland and Western Australian racing carries a commission charge of 8%, and all other states are 6%. 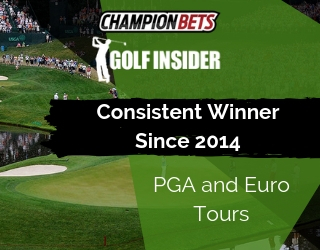 Commission is only charged on your profit on each bet, not the total collect. There’s no commission charged on losing bets – the winner who took your stake pays that! You can get a discount on the commission: Betfair has a loyalty scheme where you earn points based on how much betting you do. The more points you have, the higher your discount. On the other side of the coin, the extreme most profitable punters on Betfair pay a “high roller tax” on all profits above a certain amount. That’s hopefully a problem you’ll have in the future, but if you’re just starting out it’s a long way off! Right, that’s the basics, now go and have a crack.